"We now see GDP growth at 7.2% in the fiscal year ending March 2019 (FY19), followed by 7.0% in FY20 and 7.1% in FY21," Fitch said. GDP growth "softened quite substantially" in July-September quarter, Fitch said. NEW DELHI: Fitch Ratings Thursday revised downwards the country's gross domestic product (GDP) growth forecast to 7.2 per cent for current fiscal citing higher financing cost and reduced credit availability. In its Global Economic Outlook, Fitch projected that for 2019-20 and 2020-21 financial years, India's GDP growth will be 7 per cent and 7.1 per cent respectively. Fitch had in June projected India to grow at 7.4 per cent in current fiscal and 7.5 per cent in 2019-20. "We have lowered our growth forecasts on weaker-than-expected momentum in the data (GDP), higher financing costs and reduced credit availability. We now see GDP growth at 7.2 per cent in the fiscal year ending March 2019 (FY19), followed by 7.0 per cent in FY20 and 7.1 per cent in FY21," it said. 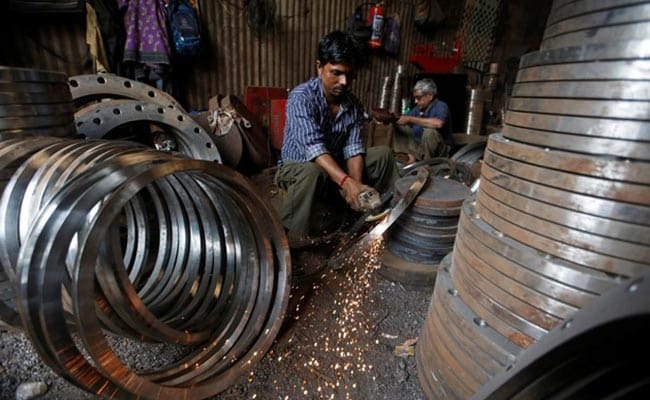 It said GDP growth "softened quite substantially" in July-September quarter of current fiscal growing by 7.1 per cent, as against 8.2 per cent in April-June. "Consumption was the weak spot, stepping down from 8.6 per cent to 7.0 per cent, though still growing at a healthy rate. Other components of domestic demand fared well, notably investment, which has been steadily strengthening since 2H17. The external sector was again a significant drag on overall GDP amid steadily accelerating imports," Fitch said. The global rating agency said India's fiscal policy should continue to support growth in the run-up to elections in early 2019. "Stepped-up public investment has helped to stem the downward trend in the investment/GDP ratio, boosted by infrastructure spending. There have also been measures to support rural demand," it added. It said the banking sector is still struggling with a high proportion of non- performing assets, while non-banking financial institutions (NBFIs) are facing tighter access to liquidity following the default of IL&FS, one of the 30 biggest NBFIs in India. NFBIs have accounted for a large share of all lending in recent years and have expanded credit rapidly, it said. "So far, the Reserve Bank of India (RBI) has dismissed calls by the government to provide emergency liquidity and to ease lending restrictions on the maximum volume of lending that state-run banks can provide to NBFIs," Fitch added. Fitch said it expects inflation to edge up mildly in the coming months, on normalising food prices and higher import prices stemming from the depreciation of the rupee (INR). It forecast the rupee to weaken to 75 to a dollar by end of 2019. "The widening of the current account deficit amidst tighter global financing conditions should put downward pressure on the currency, and we forecast the INR to weaken to 75 against the dollar by end-2019," it said.